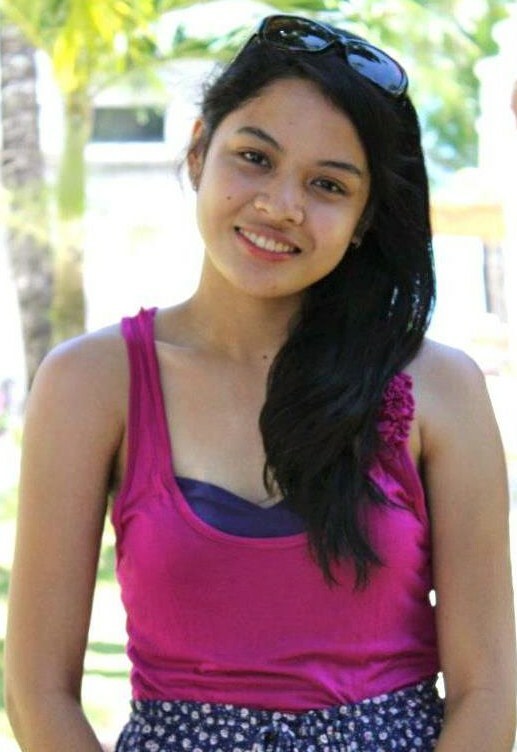 Angel travels not only to enjoy her life that she deserve as she goes to poverty-stricken places as a volunteer. Summer of Service (SOS) held in Silang Cavite and the Project Pearls in the dump site of Smokey Mountain in Manila are just two of her 'travel for a cause' in the beginning of this year 2012. "It was an amazing and wonderful experience interacting with the people. It was just moving and heart melting. It's an eye-opener. ", she quips. One does not need a year of planning for luxurious and extravagant travels. For me, it's all about the heart. Well, it really makes a difference to see historical places and see the glamour of European and Western cities, but if you have the true heart for travelling, one must know the real essence regardless of the place, the region and the country. For me, it is about searching for Love, Delight and Insights. More than just tourism, it is best to travel with purpose. Travelling is the best opportunity to learn one in a million lessons, turning points and possible shift of perspectives. Why? Because it is an open door for us to step out of the box, experience something really different from what we have been accustomed to and see more beyond what we have imagined. It is time for us to be constantly amazed and be caught off guard. It's not just about being pampered, immersing oneself to sumptuous food or enjoying effortless grandeur. It is about the participation, personal encounters, and even the challenges you face along the journey. I would be very proud to share to you my favourite exotic getaways and perfect spot for delight and serenity just nearby that most do not know about yet. This means that one should be very sensitive and keen to every kind and degree of beauty, charm, enchantment and thrill. The only thing required is a very passionate heart. Yes, Boracay is one of the most popular white-beach destinations in the world. It is approximately an hour and a half flight from Manila. The sugar-fine white sand, crystal clear waters with the ever cloudless blue skies is so amazing. It is paradise by the day and a party place by night. 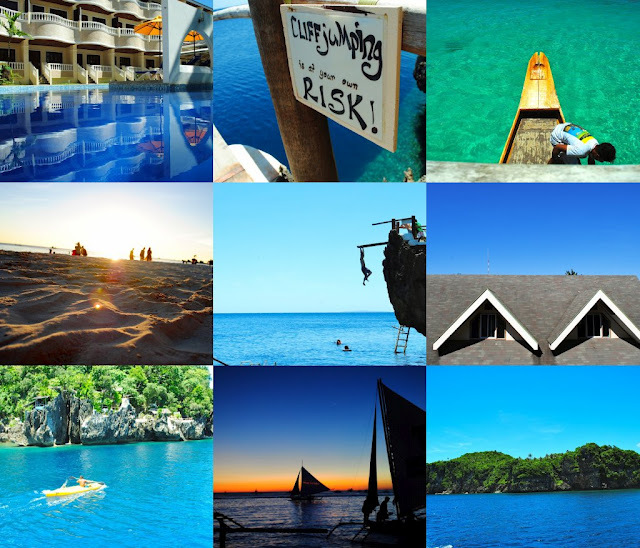 Boracay can be whatever one wants it to be. It can be full of thrill and adventure, perfect social hotspot for fun and interaction, and a getaway and stress reliever if one seeks for peace and serenity. One of the secret places to go to is the Cliff Diving Adventure in Ariel's Point. It has 5 cliff diving sites overlooking the open sea. You can kayak and snorkel around the area too. For Php1500/$40, one can enjoy the peaceful spot the entire afternoon. Leaving at 10:00 a.m. everyday, only 50 people will be transported to the Ariel's Point. The 45-minute boat ride is just a perfect time to sun bathe, read a book or relax and chill away with free and unlimited drink on the boat's roof deck. This also comes with buffet lunch when you get into the island. If you like spending a day in the sun without the crowd, then this is a perfect place for you. If you just want the heat of the sun kissing you, with a cool breeze in world of blue and white, this getaway to the Sandbar is what you need. This is indeed a hidden treasure. You can actually "own" the island for a day. You can go skinny dipping if you want to. Spare a day for tranquility and peace. In a paradise without electricity and internet connection, it will be a perfect day alone with the turquoise waters, white sand, fresh air and sun. Sandbar is located in Concepcion, Iloilo. It is 2-3 hours away from the city of Iloilo. You can take a bus to Concepcion for Php90-150 (pesos) and hire a pump boat to bring you into the island which usually takes 15 minutes. One must bring his own food for there are no restaurants or stores within the island. City of Golden Friendship ~ C.D.O. Hello City of Golden Friendship! Just like what they proclaimed their city to be, Cagayan de Oro City as the gateway to Mindanao, this city welcomed me in my most awaited moment of seeing the majestic South. Yes. Growing up hearing the rumours of ward, hostage-takings and their different culture in Mindanao ~ I've always been so curious. I was so blessed when my friend Shari brought me to this city (for free). The place was just beautiful. Though I lived in the province of Iloilo, Cagayan de Oro has its own unique beauty that really fascinates me. This waterfall is one of our country's finest that are not popularized yet. A mountain resort that is an exciting part of me is that you need to trek down the very steep path before you enjoy the delight of the waterfall. The beautifully landscaped area has mini-ponds, small water falls connected to a swimming pool and cottages. What made the place beautiful were the trees all over it. Even if the place was sort of developed, they have preserved the trees, which makes the place and the waters very cold. Freezing cold, even in the midst of the summer heat. 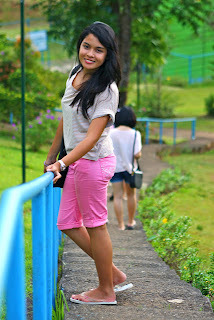 Kabankalan is a 2-hour trip by bus from Bacolod City, the major getaway to this place. Please remember, it's about the journey more than the destination. It's better to have quality of experiences more than quantity of places. Enjoy! Angel shares her travel memories through her pictures as she enjoys the exciting and picturesque wonder of Boracay Island. Hello Sir Fred, Thank you very much! It's such an honor and privilege for me to be a part of your blog! :) I am hoping and praying for more success and blessing not only to your blog but to your life as well!! You bless people by letting them see the beauty of life! :)) Keep it up! You travel for a cause and that is something that moved me. You have a good heart that will serve as an inspiration to our fellow travellers. I believe that what you are doing makes life worth living. You're such an angel.